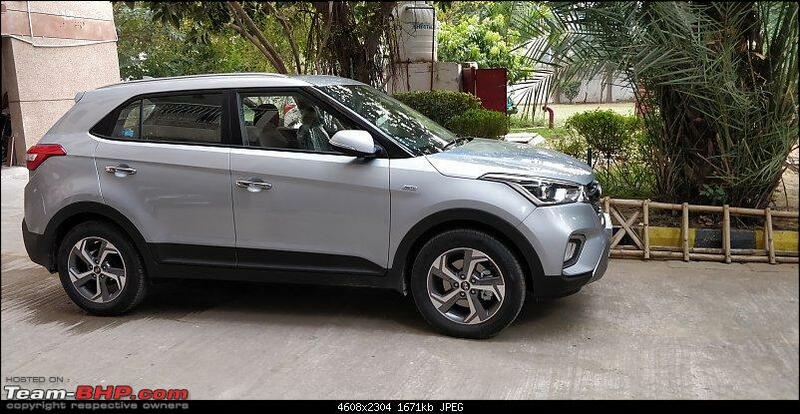 I purchased my CRETA Petrol SX(O) in June 2018. From the second week itself, there is some foul smell/fungus/mold?? kind of smell coming out of the AC vents when the car is started in the morning or after 2 or 3 hours the car is parked and started again. 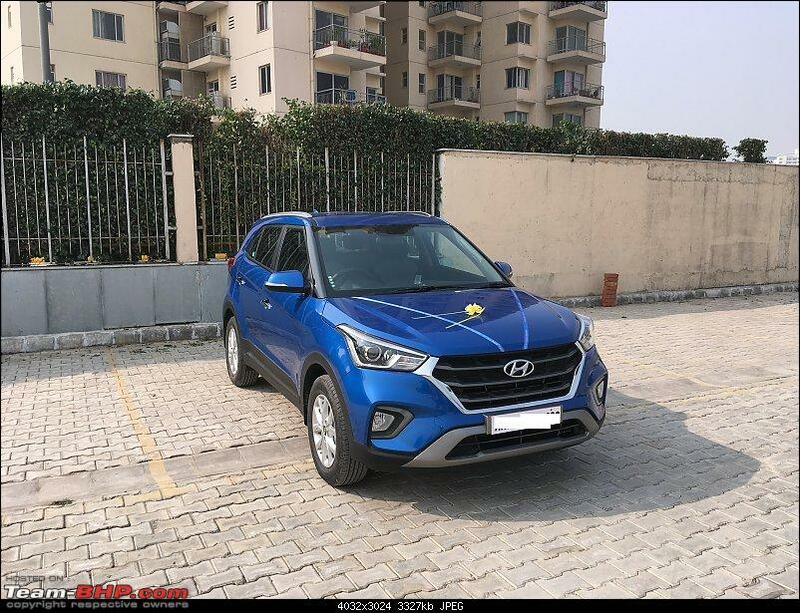 Do any other CRETA owners are having the same problem? Is this a design problem or something wrong with the AC System? Did you buy a car which was perhaps a few months old? I mean to say whether it was an older stock which you brought in June 2018? This tends to happen in many of such cases. Of course it can always happen otherwise as well. i would suggest you to approach Hyundai with this and since your car is under warranty, Hyundai should do the disinfection of your AC vents. If the results are not favourable, then you may approach 3M for the same service. 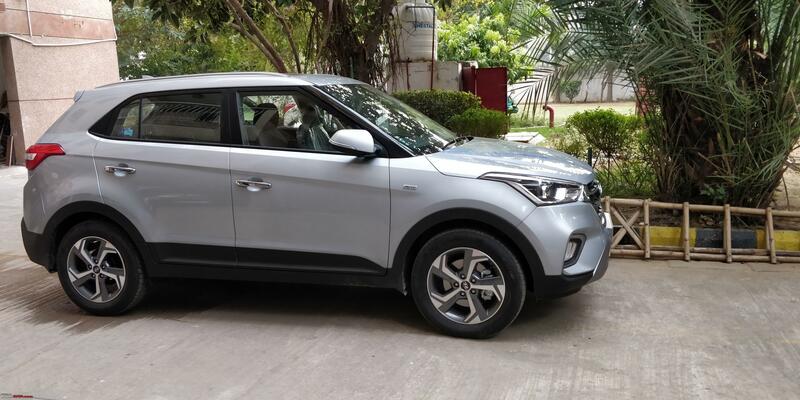 I purchased my CRETA Petrol SX(O) in June 2018. From the second week itself, there is some foul smell/fungus/mold?? As BHPian AYP had pointed out, try their AC disinfectant treatment. I generally skip this during my service (had doubts whether they actually do it). But for my last service, I opted to get this done and it does give a refreshing smell inside the cabin. Since it's under warranty, see if you can get this done for free after all it's just 575 bucks (it falls under labor category so it's generally not a free job). 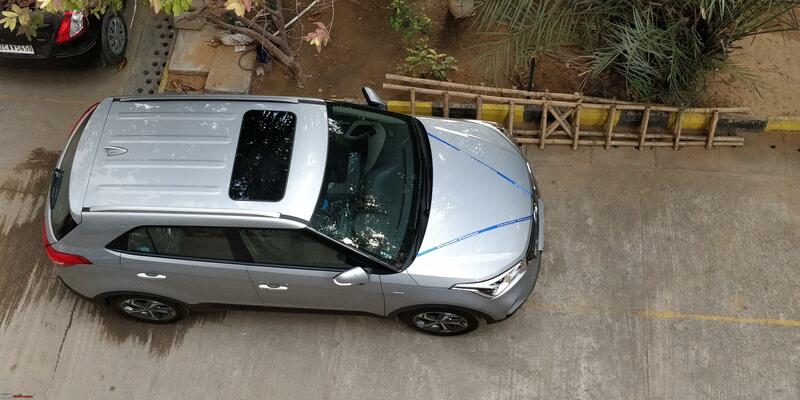 Finally my Creta Auto Diesal SX came home today. This is a Jan 2019 model with new sliver shade called typhoon silver. 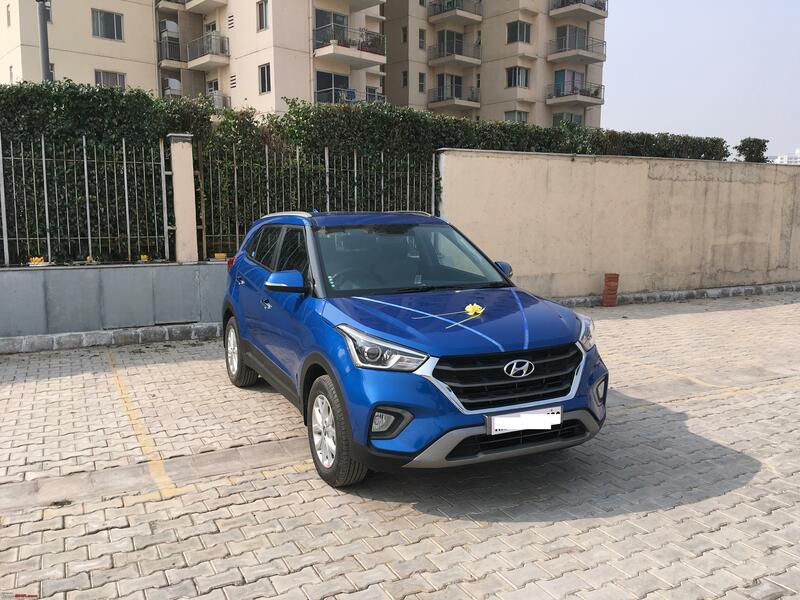 Car was purchased form Dee-Emm Hyundai Gurgaon and the overall experience was pretty smooth. Was expecting a delivery date of 15th to 20th but was pleasantly delivered on 8th. The car was in transit when it was allocated to me which partly explains the quick delivery. I had visited their stockyard and was quite surprised to see too many cretas lying there. Majority of them were white colors followed by silver color and I could not see any other color. Congrats born_free! I have received the allocation too on friday and the car has reached the stockyard now. It was, however, not a smooth affair from Himgiri. In line with my conversation with the SA, I was expecting allocation last week but when the entire week went by and I did not hear back from the SA, I got suspicious. I called up Himgiri on Friday only to find that the SA has been on leave for the last 10 days and my file has not been handed over to anyone in the interim. All this while the SA has been feeding me stories while he was on leave with no information about what was actually going on. When I gave an earful to the guys at Himgiri, they immediately reverted with the allocation. The car had just crossed MP then. 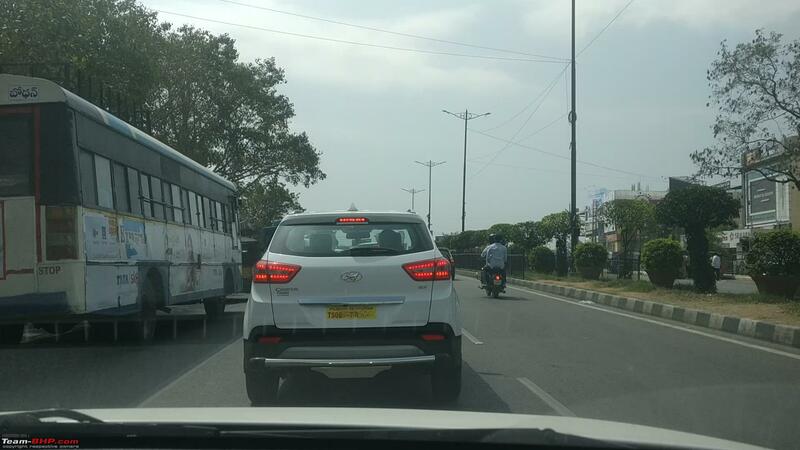 They also allocated a new SA, who informed me yesterday, that car has reached Okhla and will be in stockyard today. While the overall experience left me quite disgusted with the irresponsible SA, Himgiri is also to blame here as they should have allocated my case to a new SA the moment the original SA decided to go on a long leave. I will do the PDI now to ensure that nothing is amiss.Hope the delivery experience is better this week. Will inform once the delivery is done. Congrats on the new car. Can you share the pictures of the new colour? Congrats born_free! I have received the allocation too on friday and the car has reached the stockyard now. It was, however, not a smooth affair from Himgiri. My initial impression was also not so good with Himgiri, had gone to their showroom for test drive and had announced my plan in advance. 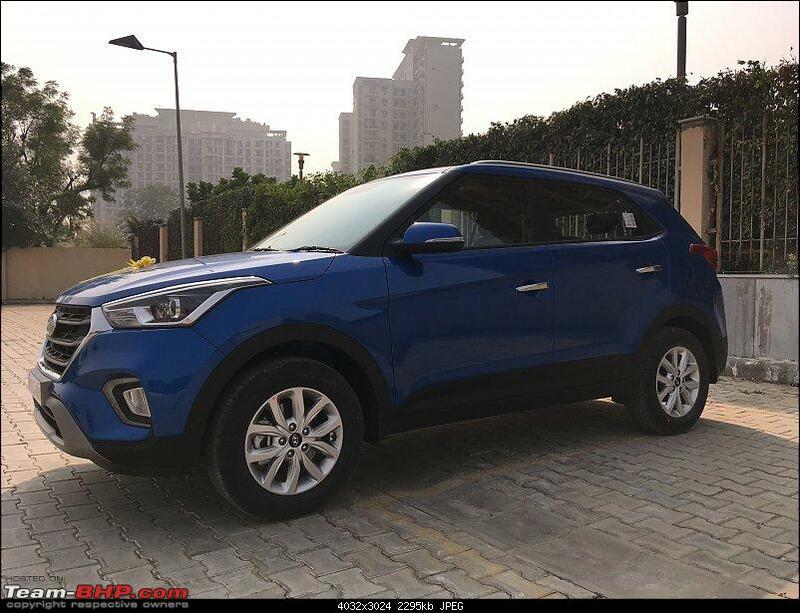 They had no car for test drive, not even a single variant of Creta . I asked them to send the car to my residence in following week which was also not done. By the time SA called me back I had already booked from Dee-EMM, may be he thought I would buy the car without test drive but was surprised by my decision. He also offered discounts to change the booking to Himgiri but I was not interested. Dee-Emm sent the car to my place within two days of asking and that's what sealed the deal. 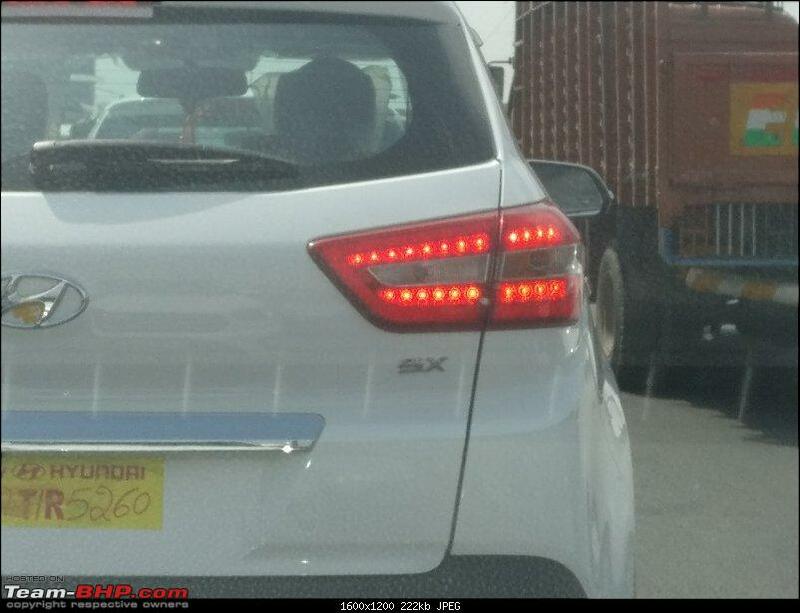 Was tailgating new 2019 Creta refresh today and was able to capture the LED Tail lights on it. Looks okay-ish but felt that the 'reverse' and 'indicator' bulbs too should have been LED making it a complete LED taillight. I find them ‘aftermarketish’. Instead of having dots they could have gone for a continuos strip retaining the layout of those dots. Have taken the delivery today. Delivery experience was significantly better after my last unpleasant call with Himgiri where I complained about their unprofessional behaviour. with today being a working day, will have to wait till saturday to take the car out for a longer spin. Are these prices in line with what the new owners have paid? 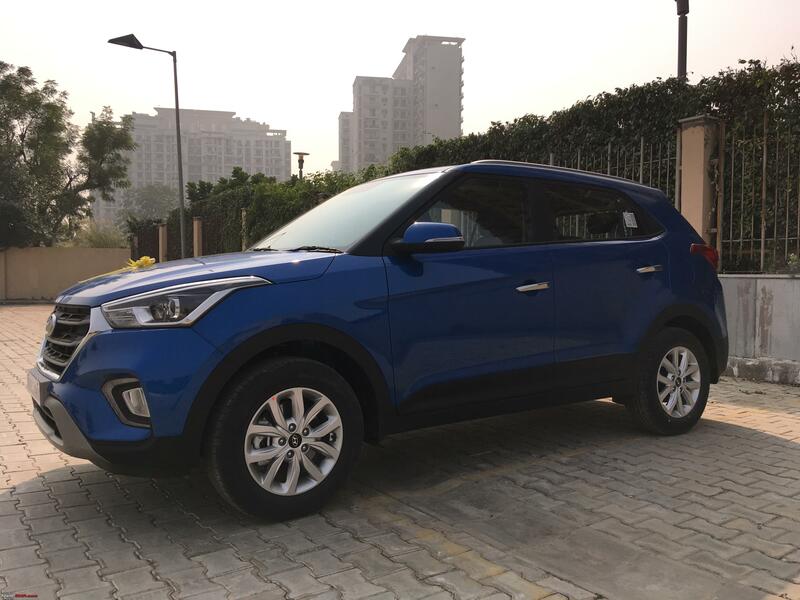 I picked up my Creta Diesel 1.6 SX exactly one year earlier, in Feb 2018 and there is a huge difference in what I paid and what it costs now. 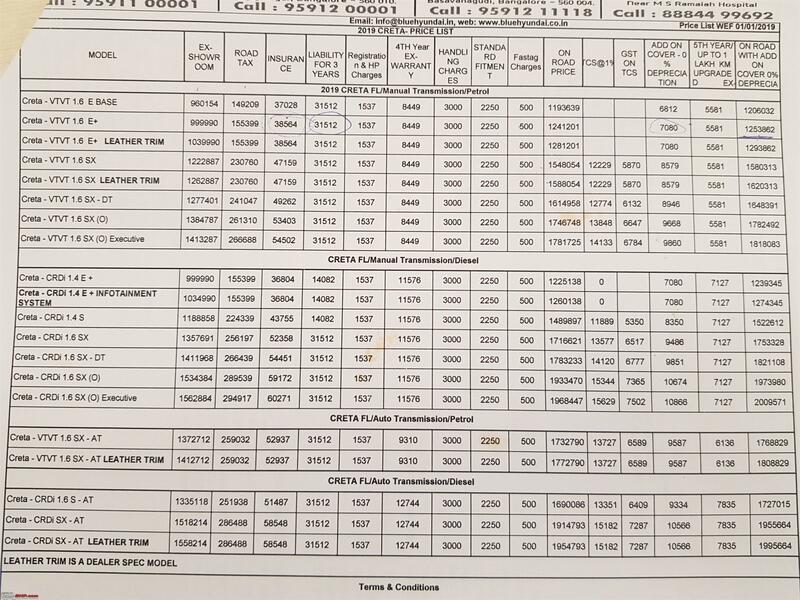 I paid 15.2 lakhs excluding extended warranty, had got a 60k benefit since the car was a December 2017 model. 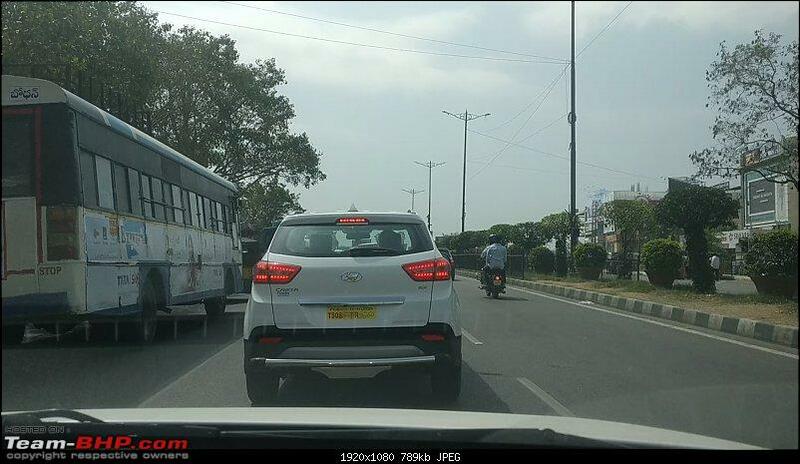 But in any case the OTR then was around 15.8L in Bangalore. When the facelift was launched, they did a variant rejig and the price of the SX 1.6 Diesel went up to some 16.8L and now its close to 17.2L! What is really surprising is that there have been no major feature additions when you compare the variant before facelift and now. 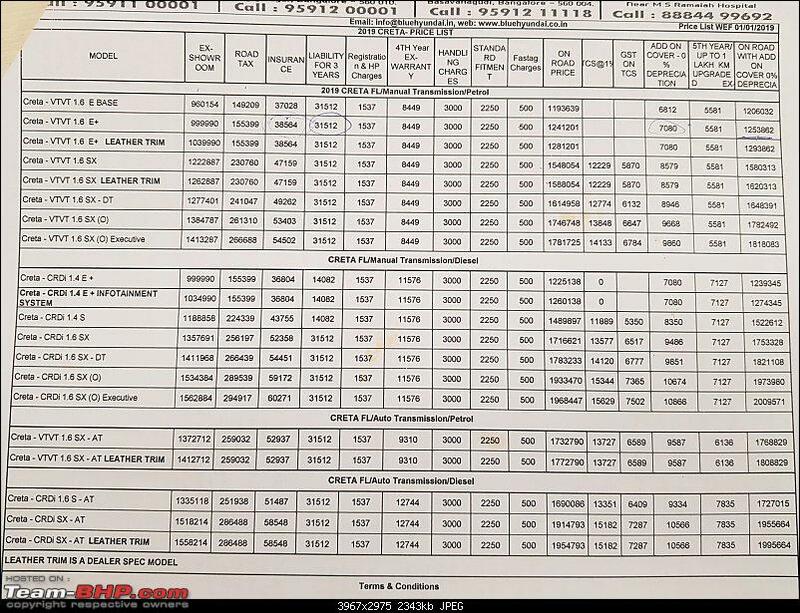 I can think of diamond cut alloy wheels instead of regular alloys, a proper infotainment system vs the basic blue tooth touch screen system, and probably some add ons like wireless mobile charger and few other such minor changes. Its not like they added some 4 airbags and rear disc brakes etc. 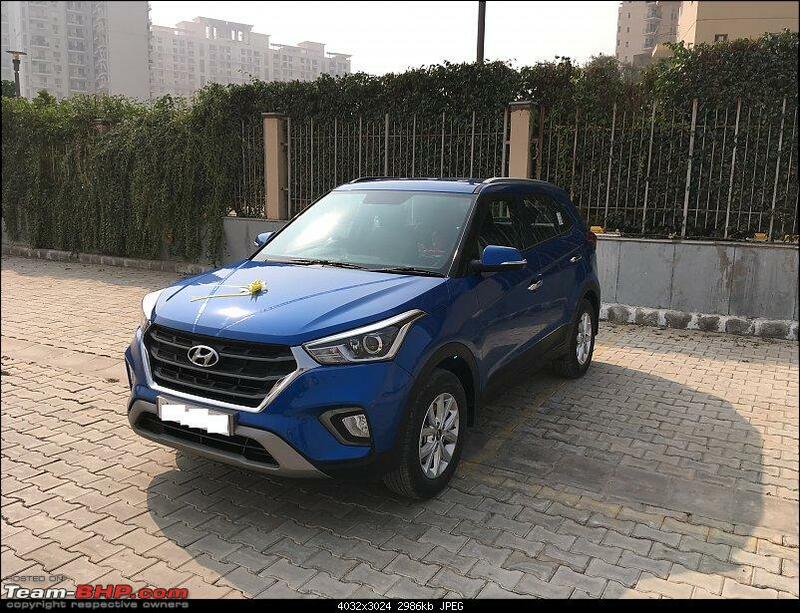 Hyundai going the Toyota way, moving the Creta up at every given opportunity! 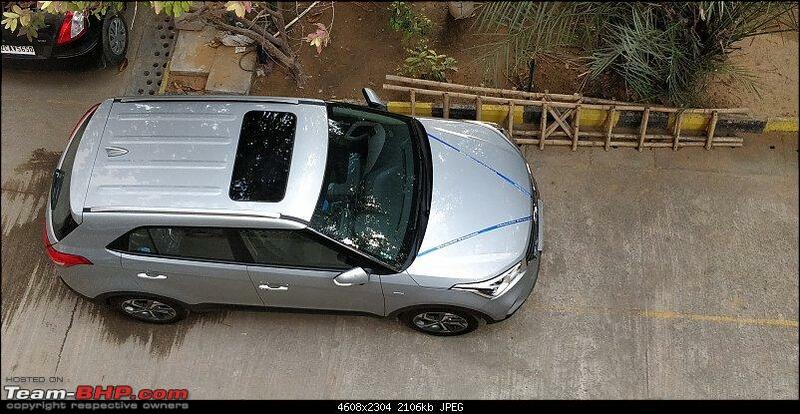 I would not be surprised if the next gen Creta starts from 16 on road and goes all the way up to 21-22L. I think they would drop the E variants and make that space available for their sub 4m SUV. By the time SA called me back I had already booked from Dee-EMM, may be he thought I would buy the car without test drive but was surprised by my decision. Somehow I found them quite adamant in their protocols. They insisted a booking amount of 25K, and would not budge. I was not happy with this, so gave them the wide berth. Mine is also an Dee-EMM unit. They immediately sent a test drive vehicle after I visited the showroom. It was petrol - M which I wanted anyways, so the live drive was a good experience, and helped me make a decision. Anyways, circa November end 2018. 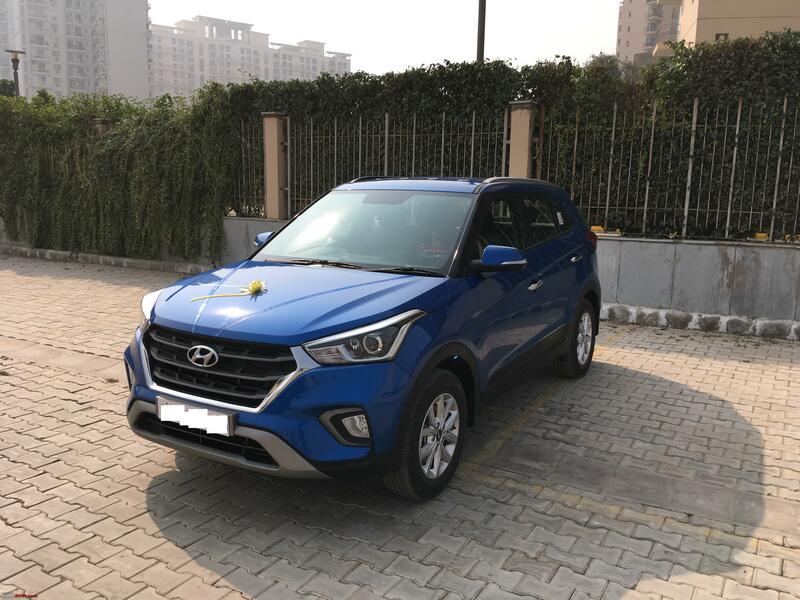 I am owning a 2018 facelifted Creta SX(O) diesel. 2. Even though AC is ON, some kind of heat I am finding it near ABC pedal. Is this some problem ? Anyone else is facing this? Otherwise enjoying the car. It has run ~ 5k kms in 2.5 months. Engine has opened up and smooth now. It is very usual in Maruti cars, something related to compressor start. 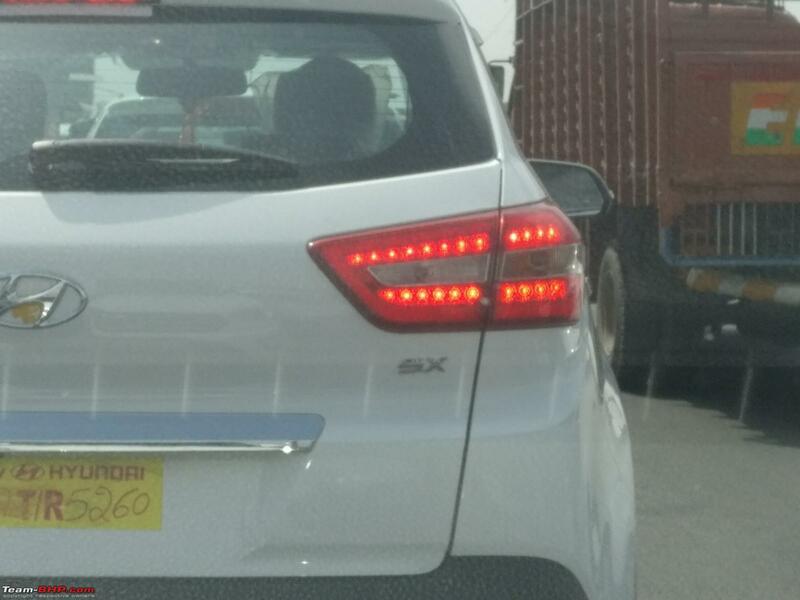 I don’t know what is the actual reason behind it, but it is very usual as it is very much seen in most Maruti cars. Note: my brother has a previous gen Swift ZXi, and has the same sound while starting AC.